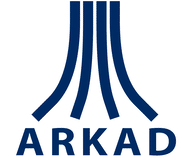 ARKAD is arranged by Teknologkåren at Faculty of Engineering, Lund University. It is one of the biggest career fairs in Scandinavia. Every year, thousands of students visit the fair to meet with future employers. Data Ductus will attend the fair and also the banquet on the 14th November. Hope to see you there!